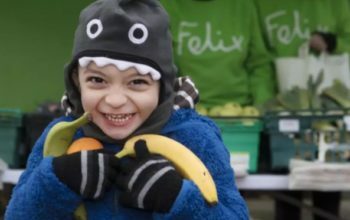 Free of charge, we provide a weekly delivery of surplus food to schools that is made available to children and their families to take home and enjoy. 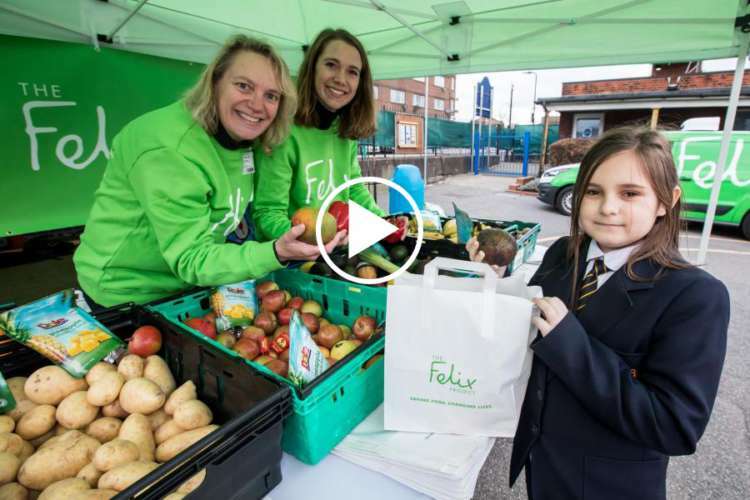 This helps to reduce the amount of food that would otherwise go to waste every day, and gives pupils and their families access to more healthy food. 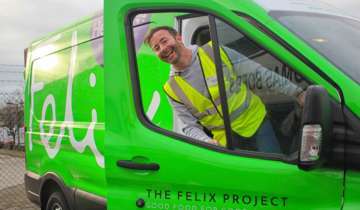 What is The Felix Project’s Schools Programme? 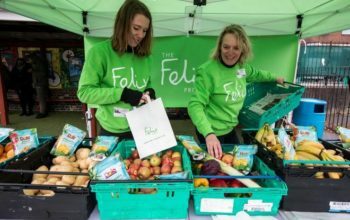 Our programme provides a free weekly delivery of healthy produce that would otherwise have gone to waste. Some can be eaten as snacks, some requires preparation at home. 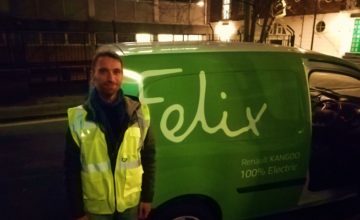 What produce does The Felix Project deliver? Because we work with companies who give us their surplus produce, we cannot guarantee what produce there will be. But it will be healthy! 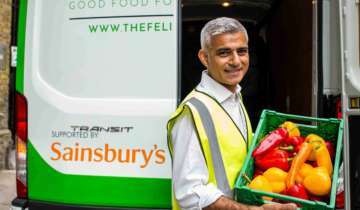 Why is the food surplus to requirements? Yes, absolutely. We go through our own quality control process when we collect food and before it is delivered. You will not receive anything that is not fit for human consumption. Some of the food may be past it’s Best Before date, but never past the use by date, which is a food safety guideline. How much produce is delivered? 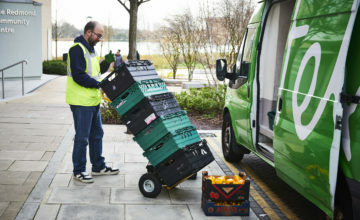 We aim to deliver a minimum of 5 crates of produce to you every week. Nothing! There is no charge. We are a charity run 100% on donations. We do not charge for any of our services. What do we do with the food? 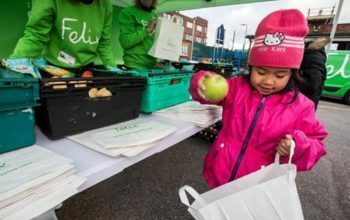 The primary purpose of the food is for distribution to pupils and their families at the end of the day on a ‘market stall’. 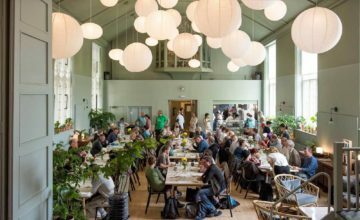 The food may also be used in lessons/activities for food exploration, for example in cooking lessons and activities. 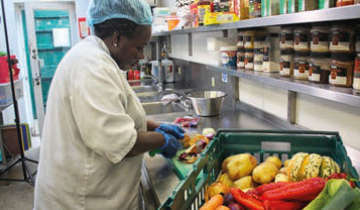 The food must not be used to supplement school meals. Who runs the market stall? I’m afraid we cannot provide staff or volunteers to run the stall, so this would need to be managed by the school staff/volunteers/parents. Some schools are even involving the pupils in the set-up and running of the stall. We will agree this with you. It depends on when the best time is for you, and when we have space on our delivery schedule. Where would you expect the market to go? Indoors or outdoors? It is entirely up to each individual school where the stall is situated – there is no right or wrong place. You may like to have it inside during the colder months, for example, or next to refrigeration facilities should you choose to accept products that require refrigeration. Can we use this food without breaking any schools food plan rules? In the schools food plan certain items eg. breadsticks and cakes, are listed as “not recommended” for distribution directly from the school to a child. From time to time these items might be available through the Felix Project Schools Programme, although unlikely. 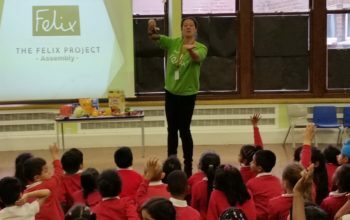 Schools can make these foods available to parents via the market stall without breaking the guidelines in the school food plan.